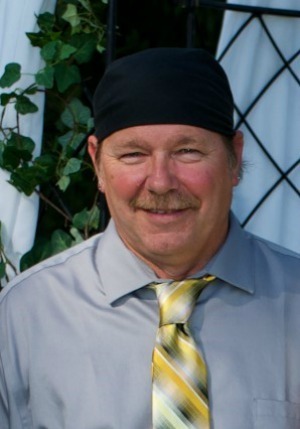 You are here: Home / Obituaries / Donald “Toad” Sharpe, Sr.
Donald “Toad” Sharpe, Sr., 57, of Mountville passed away unexpectedly Monday, January 22, 2018. He was the loving husband and best friend of Eva May (Lehn) Sharpe. They were inseparable for the past two decades. Born in Lancaster, PA, he was the son of the late Shirley (Garreth) Hornberger and the late Ronald Sharpe, Sr. and Janet Sharpe, widow. Toad was a plumber at Skyline Homes for nearly 22 years. In his spare time he enjoyed yardsaling, haggling and bargain shopping, camping, working on his Harley and going to Bike Week. He also enjoyed gardening, baking, drinking his Mountain Dew and smothering his meals in Heinz ketchup. Toad was known for his elaborate Halloween decorations, parties and costumes. He had a one-of-a-kind sense of humor and could make anyone laugh. In addition to his wife, Eva, he is survived by seven children: Donald Sharpe, Jr.; Tonya “Sis” Sharpe; Nikki, wife of Jeromy Smith; Daniel, husband of Jenniffer Harsh; Amanda, wife of Dylan Condon; Erica Caldwell; and Christie Ann, wife of Matthew Weaver. He is also survived by 13.5 grandchildren, two brothers – Ronald, Jr., husband of Deb Sharpe, and Scott, husband of Amy Sharpe – as well as a stepsister, Lisa, wife of John Moore. The family will be holding a Celebration of Life Wednesday, January 31 at 4:00 p.m. at Covenant United Methodist Church (Orange & Mulberry Streets). Please feel welcome to join in celebrating Toad’s life. Offer Condolence for the family of Donald “Toad” Sharpe, Sr. I was saddened to read of Toad’s sudden passing. The entire family has my heartfelt condolences. Deepest condolences to Christie and her family…your in my thoughts and prayers…Sincerely…Jonna &Mark Hamaker and Maddison..
Toad was a good guy, he will be greatly missed. I was very sad to hear of his passing. He was a one of a kind friend and could make anyone laugh with his antics. My biggest condolences to you all. We are still very shocked and saddened to hear of Toads passing. We are glad he came into Eva’s life and they shared such great times together. Continued prayers for you Eva as well as the rest of the family. Toad will be missed. Daniel, little Jenn and family, so sorry for your loss, know that we are thinking about you and are here if you should need anything. It’s so hard to see when a young person leaves us but you have so many wonderful memories. Take time to grieve. Even though I can’t come on Wednesday my heart and love is with all of you. He definitely had the Sharpe family sense of humor, and good looks. So sorry for your loss, Eva. Love you much. Aunt Helen Sharpe. I’m still in shock! I don’t want to believe it! Toad was a great guy to everyone, he was very funny ,very caring, and loving! Eva you and Toad complete each other! You had a great understanding of each other! I hope you know I’m here for you and the family! Toad will be missed but not forgotten! He is in your memories and your heart! I pray every day that you receive comfort knowing so many people are there for you, it’s ok to lean on family and friends! I Love you!! RIP DONALD “Toad” SHARPE SR! Our deepest condolences, we wish u the best and we will continue praying for u and your family, we are so very sorry Eva and family. May God watch over u , bless u and protect u cousin. Eva, I am so very sorry for your lost. My heart goes out to you, Christie, and your entire family. Prayers for all of you! Please know that all of you have our heartfelt sympathies at this very sad and difficult time. Toad was a great individual who always had and showed kindness from his heart. The Caldwell family could not have asked for a better “other Dad” for Dan, Mandie, Erica and Christie. We have always appreciated that he was a great Dad and friend to them. Eva, I will never forget the day we were moving you and the kids into the mobile home park and these two guys kept coming around in their truck checking us out. It was apparent that one of them had his eye on you. On their 3rd trip around, one of them asked if they could help. That guy was your Toad! The depth of your love for one another has always been quite apparent. It is a love to be admired. My heart hurts for you and I am so terribly sorry for your loss. As I am sick with the flu at this time, we can not attend Toad’s services, but please know that Jerry and I are thinking of all of you. The most wonderful thing about hearts are their ability to hold the most precious of memories. I am sure that all of your hearts are overflowing. Cherish those memories and rely on them to get you all through this sad time. Toad would want to hear your laughter, so laugh often and cry when you must. He is deserving of each and every tear. I would like to state that the day Jerry and I met Toad, while he and his friend were going around and around the mobile home park and he stopped to talk, was not the day Toad and Eva met. I have been informed that they in fact met a few days prior. I was asked to make that clear. I was shocked and saddened to hear of Toad’s passing. You may not know me, but I was married to his Uncle Chet who passed away in1996. You and your family have my deepest sympathy. Sorry for your loss. He will be greatly missed here at Skyline Homes. Our thoughts and prayers are with you Eva and your family. God bless. The Weaver Family (Matt’s Family) sends our heart-felt condolences to you and your family. There will certainly be an emptiness at family gatherings. I think though he is “one-uping” us all because right now he is the first to meet that .5 grandchild of his 13.5 grandchildren. There are no words to describe the pain you must be feeling I’m so sorry for your loss doesn’t seem like enough. Toad was a wonderful person, worked with him for 6 years at Skyline. We differently lost a good person. So sorry for his families lost. God Bless. You all will be in my prayers. Miss you buddy. I know your pain, I lost a son at age 21. It took me a long time to accept it, but I know now, he is in Heaven and at peace and I will see him again one day.